5 Bedroom Terraced House For Sale in London for Asking Price £3,500,000. Occupying an enviable corner of Lonsdale Square is this imposing and wider than typical Victorian upper Grade II Listed town house with distinctive steep gables, mullioned windows and an arched front door. 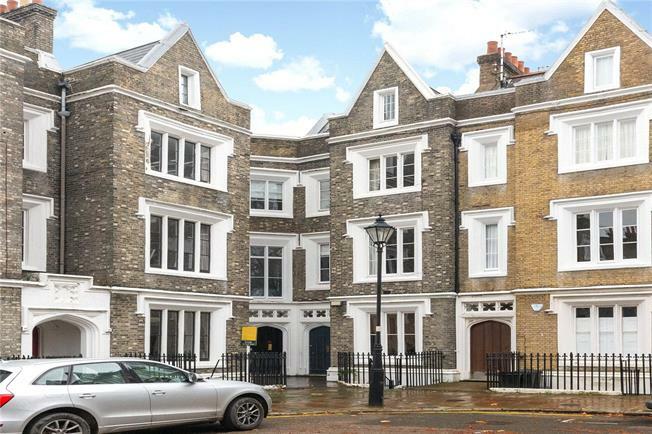 The property is set over five floors and close to 2,800 sq ft boasting an array of period features to include triple sash windows, wooden shutters, fire places, ornate cornicing and high ceilings. The lower ground floor has separate access and could be used as a self contained guest area. There is access to the 65ft east facing garden from the ground floor which houses the kitchen/dining space and the aforementioned orientation means the property is flooded with natural light. The first floor offers a double reception and the lateral space here is ideal for entertaining. The upper floors of the property contain four double bedrooms, two bathrooms and built in wardrobes. The staples of this family home along with the carefully considered design throughout make for an attractive proposition to any buyer. Lonsdale Square is in the heart of the Barnsbury Conservation Area, built between 1838 and 1845 in Gothic Revival style by R.C.Carpenter. It was built at the same time as the Drapers Arms, the gastro pub at the north end of the square. It has historic connections to public figures including Booker Prize winner Sir Ahmed Salmon Rushdie and English conductor Sir Simon Rattle. Transport links can be found at Angel and Highbury & Islington Underground Stations, both within 0.6 miles.